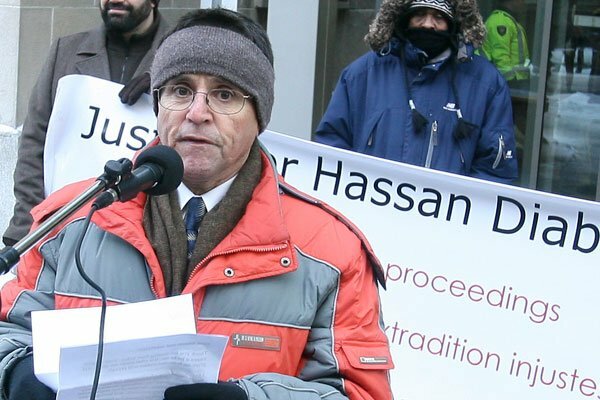 Last week, Ottawa academic Hassan Diab was extradited to France. Readers of these pages will be familiar with the BCCLA’s ongoing concerns about France’s efforts to extradite him to stand trial for his alleged involvement with a bombing in Paris over 34 years ago. We’ve been following his extradition proceedings given concerns that if delivered to France, Dr. Diab – a Canadian citizen – may face trial based on evidence potentially derived from torture, given France’s documented history of using torture evidence in terrorism investigations and trials. 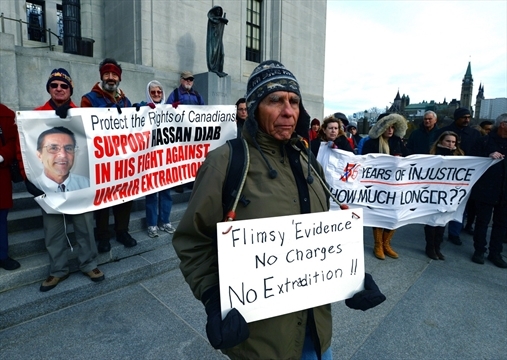 In 2010, we were one of the first organizations in Canada to raise questions about the conduct of the extradition proceedings against Dr. Diab. We wrote to then-Minister of Justice Robert Nicholson, calling on him to ensure that Canadian citizens are protected against foreign prosecutions relying on evidence derived from torture. We were also concerned about the use of evidence potentially derived from torture in the extradition proceeding taking place in Canadian courts. Over the years, we’ve written extensively about the use of unsourced intelligence information in his extradition hearing; France’s willingness to use torture evidence in terrorism prosecutions and Canada’s complicity in legitimizing torture if it allowed the extradition to proceed; and the Minister of Justice’s ultimate decision to surrender him to trial by an unfair system. Last year, the BCCLA intervened in Dr. Diab’s judicial review of his extradition at the Ontario Court of Appeal. With respect, very few countries officially condone the use of torture-derived evidence, but that doesn’t mean it doesn’t make its way into the courts, either because countries deliberately decide to rely on such evidence or because their criminal justice systems do not adequately protect against its use. Dr. Diab provided evidence illustrating how trial procedure in France could not adequately protect against the use of evidence potentially derived from torture. Yet this evidence was virtually ignored in light of France’s reputation as a “respected extradition partner”. But the protection of fundamental fair trial rights and the strict application of the anti-torture principle cannot simply be reduced to “trust us” and “trust them”. Dr. Diab appealed to the Supreme Court of Canada. Last week, the Court refused to hear his case. He had been arrested and held in an Ottawa detention facility shortly before the Court released its decision. Less than 24 hours later, he was on a plane to France. He wasn’t given the opportunity to see his wife or two-year old daughter before he was removed. Shortly after arriving in France, he was charged with murder and attempted murder. His case will be considered by an investigating judge who will ultimately decide whether the case will proceed to trial. The Supreme Court of Canada’s refusal to hear Dr. Diab’s appeal is both disappointing and surprising. There was, of course, the important question of whether Canada can simply rely on France’s assurances of a fair trial in light of evidence raising serious concerns about French practices and procedures in terrorism prosecutions. But there were also important questions about the reliability of the evidence that formed the basis of his extradition in the first place – handwriting evidence that even the extradition judge described as “problematic” and confusing – and the legal test for committal to extradition which left the extradition judge feeling that he could not refuse France’s request even in such circumstances. As it now stands, we can only hope that Canada was right to trust French assurances, and hope that those assurances were meaningful so that Dr. Diab will ultimately get a fair trial. Unfortunately, the constitutional rights of Canadians shouldn’t have to be the stuff of hope and trust. Previous Post: Speaking out against lack of advance polling places in DTES and Grandview-Woodlands.